Purpose: Today’s manufacturing facilities are challenged by highly customized products and just in time manufacturing and delivery of these products. In this study, a batch scheduling problem is addressed to provide on-time completion of customer orders in the environment of lean manufacturing. The problem is to optimize partitioning of product components into batches and scheduling of the resulting batches where each customer order is received as a set of products made of various components. Design/methodology/approach: Three different mathematical models for minimization of total earliness and tardiness of customer orders are developed to provide on-time completion of customer orders and also, to avoid from inventory of final products. The first model is a non-linear integer programming model while the second is a linearized version of the first. Finally, to solve larger sized instances of the problem, an alternative linear integer model is presented. Findings: Computational study using a suit set of test instances showed that the alternative linear integer model is able to solve all test instances in varying sizes within quite shorter computer times comparing to the other two models. It was also showed that the alternative model can solve moderate sized real-world problems. Originality/value: The problem under study differentiates from existing batch scheduling problems in the literature since it includes new circumstances which may arise in real-world applications. 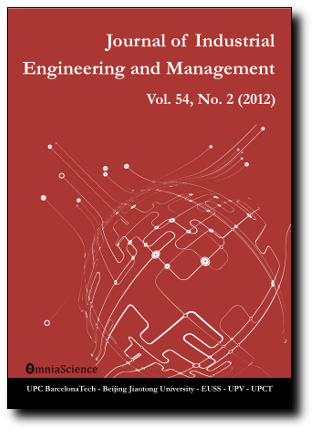 This research, also, contributes the literature of batch scheduling problem by presenting new optimization models.